Get on this River Hiking and Archery in Polilimnio of Messinia and experience a naturalist walking tour in a unique natural phenomenon full of waterfalls and small lakes! In central Messinia next to the village of Haravgi, well hidden among the hills is the gorge of Polilimnio. The presence of olive groves and vineyards in the surrounding area does not reveal the existence of this small green paradise whose streams create consecutive ponds and waterfalls composing an unexpected dreamy sight. The waterfall of Kadi stands between the big rocks of the gorge, with waters falling from a height of 25 meters onto the surface of a wonderful turquoise pond. Other larger lakes such as Kadi and Mavrolimna, give us also a chance to cool down with a swim in their cool waters. The sounds of nature, lush vegetation and beautiful waterfalls will turn an easy in difficulty walking path of three kilometers a unique and unforgettable experience. The tour is described as a naturalist walking activity combined with other activities such as archery, outdoor games and tasting of traditional delicacies. The length of the tour is relatively short, thus we spend enough time for entertainment within this natural environment with swims into the cool waters of the ponds, and additional activities such as archery contest and other outdoor games. 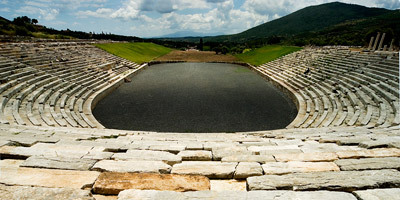 Experience a private tour to the Ancient Messene from Kalamata with a local English speaking tour leader! 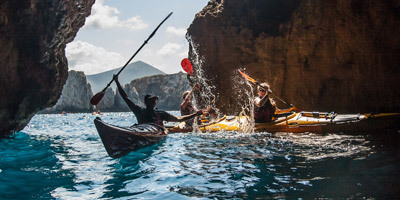 Enjoy a Spectacular sea kayak tour in Pylos in the clystal clear waters of Navarino bay! 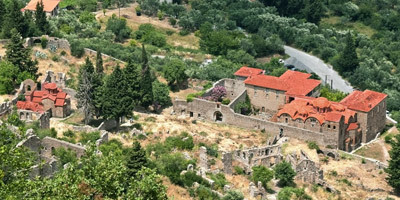 Visit the Frankish and Ottoman monuments as you walk on Byzantine paths of Mystras and learn the history of the Greek Olive oil by visiting the olive oil museum of Sparta! 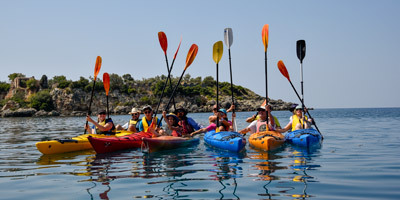 Starting from Kardamili or Stoupa, discover the coastline of Messinian Mani upon your sea kayak. Hidden caves, cliffs and unique beaches are waiting for you to reveal its beauties!